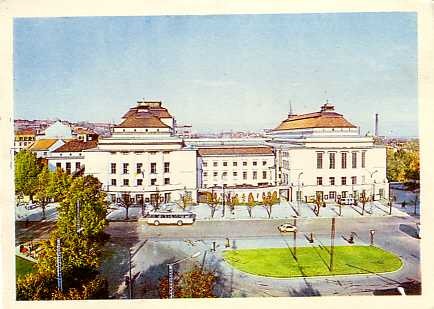 Built 1913 by Armas Eliel Lindgren and Wiwi Lönn as a complex of a theatre and a concert hall. 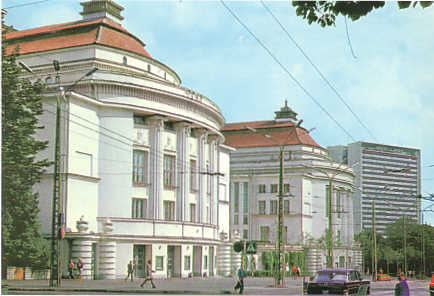 Opened 1913 with Shakespeare's "Hamlet". The first opera performed in the new house was Humperdinck's "Hänsel und Gretel" (1913), the first ballet was Delibes's "Coppélia" (1922). Destroyed by bombs on 9 March 1944. 1947 rebuilt by Alar Kotli and Edgar Johan Kuusik. From 1997 major exterior and interior renovations. 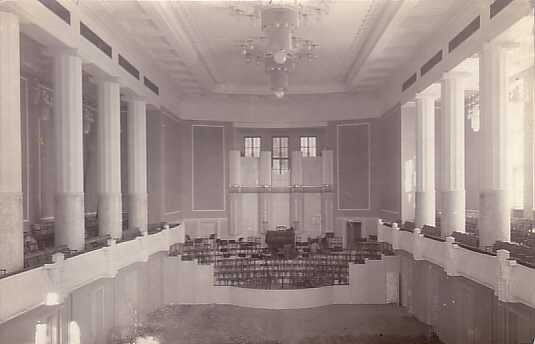 The Concert Hall is home to the Estonian Symphony Orchestra. Theatre Hall: 695 seats, Concert Hall: 700 seats. 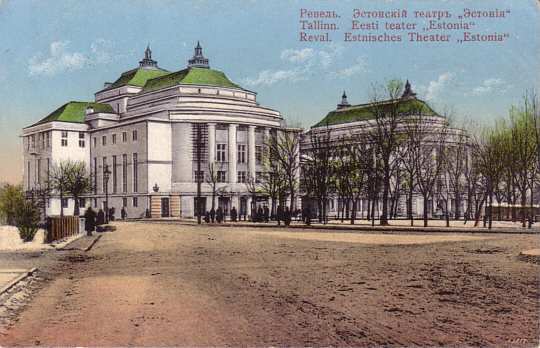 Front Text: "Revel, Estonsky teatr 'Estoniya" - Tallinn, Eesti teater 'Estonia' - Reval, Estnisches Theater 'Estonia'"
Reverse Text: "SAT 'Estonia' - State Academic Opera and Ballet Theatre 'Estonia' - Das Staatliche Akademische Opern-und Ballettheater 'Estonia'"
Reverse Text: "Tallinn. Riiklik Akadeemiline Ooperija Balletiteater Estonia"